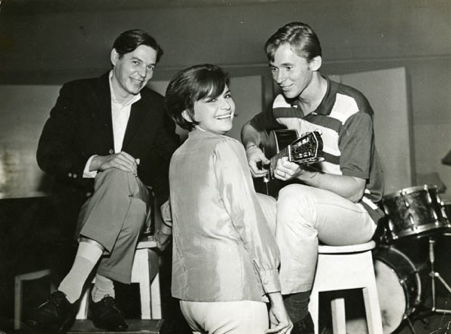 According to the Rio Convention and Visitors Bureau, it was in the late 1950’s that Rio de Janeiro saw young middle class musicians start shaping a new musical style. The novelty, which mixed the cadence of samba with the dynamism of jazz, took to the streets when in July 1958, João Gilberto recorded the song “Chega de Saudade”, by Tom Jobim (1927-1994) and Vinícius de Moraes (1913-1980), and started one of the most important chapters of the Brazilian Popular Music (MPB). Symbol of modernity and soundtrack of the bohemia of that time, Bossa Nova turns 60 in 2018. Its poetry often mingles with the beautiful settings of the city and its history. 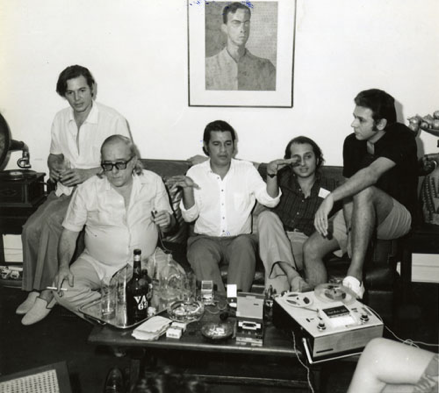 Established in Rio’s South Zone, the Bossa Nova gang also included names like Carlos Lyra, Nara Leão (1942-1989), Ronaldo Bôscoli (1928-1994) and Roberto Menescal who would write about themes stripped of political commitment and filled with romanticism. The beautiful settings of the city served as inspiration. Tom and Vinícius’s partnership reaped memorable fruits, as “Água de Beber”, “Ela é Carioca”, “Eu Sei Que Vou Te Amar”, “Insensatez” and “Garota de Ipanema”, the latter being not only one of the best known Brazilian songs but also one of the world’s most played songs. Very few genuinely Brazilian art movements have spread around the world and reverberated for so long as Bossa Nova did. In 1962 this experience was presented in American stages, during the historic festival at Carnegie Hall, in New York, being then adopted by artists like Miles Davis (1926-1991), Ella Fitzgerald (1917-1996) and Stan Getz (1927-1991). In Brazil, these Bossa Nova musicians influenced the rise of a new generation of MPB stars, including Roberto Carlos, Chico Buarque, Caetano Veloso, Gilberto Gil, Milton Nascimento and Edu Lobo. This neighborhood in Rio’s South Zone is home to some of the addressed immortalized by the Bossa Nova. It was there, sitting at a table in the former Bar Veloso – now Garota de Ipanema – that Tom and Vinícius wrote “Garota de Ipanema”, in 1962. The bar is located on the corner of streets Vinícius de Moraes and Prudente de Moraes. Plus, you can have selfie with Tom’s statue during a stroll on the promenade, and visit yet another address immortalized in the song “Carta ao Tom”, by Vinícius and Toquinho, Rua Nascimento Silva 107, where Elizeth Cardoso (1920-1990) and Tom Jobim lived. The Botanic Garden was one of Tom’s favorite places in Rio de Janeiro. Nowadays, it is home to Espaço Tom Jobim (Rua Jardim Botânico 1008), which is part of the park’s cultural corridor. It is comprised of Teatro Tom Jobim, Galpão das Artes and Casa do Acervo, that keeps the entire collection of Tom Jobim and maintains a permanent exhibition with photographs, original scores, personal belongings and videos of some of his concerts. 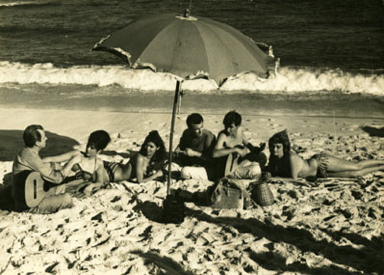 Brazil’s most famous beach saw the birth of Bossa Nova. It was at Avenida Atlântica, where Nara Leão’s apartment was located, that young musicians used to gather to write songs. Nowadays, the neighborhood is home to Sala Baden Powell (Av. Nossa Senhora de Copacabana 360). Designed to be a space exclusively dedicated to music, Sala Baden Powell also includes the Casa da Bossa, that offers weekly attractions of this genre. Another meeting point was the Beco das Garrafas (Rua Duvivier 37). Famous in the 60’s, that’s where Bossa Nova musicians used to gather at the time. Today, one can watch the concerts of young musicians there. RioCVB’s Press Office is a department dedicated to generating content about the city of Rio de Janeiro to be distributed free of charge in Brazil and abroad. As part of our work method, we will periodically produce and distribute proprietary content. Photo images used with permission. Reprinted by pernission from RioCVB’s Press Office.